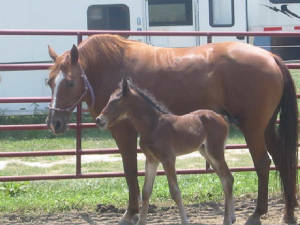 Belle is a treasure with her foundation pedigree and production record- we have two of her foals here on the farm and both are correct, well gaited and have wonderful dispositions...doesn't hurt that they are both easy on the eyes either. 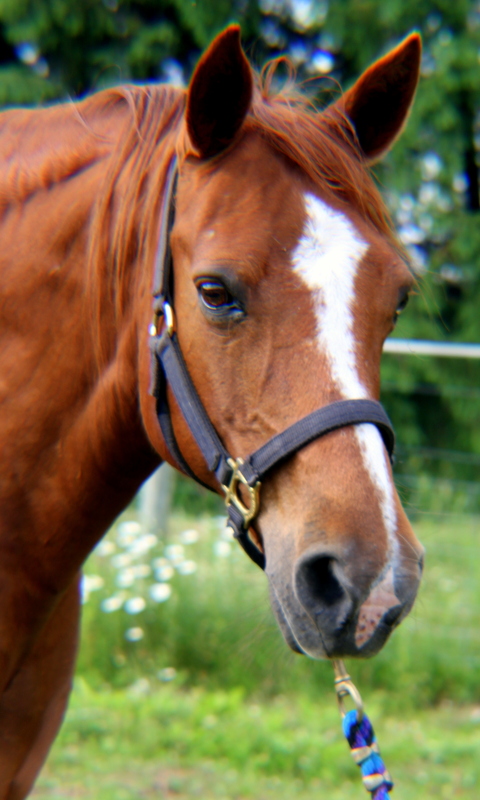 Due to some issues with EPM when she was younger, Belle isn't broke to ride but she has more than proven herself as a broodmare. 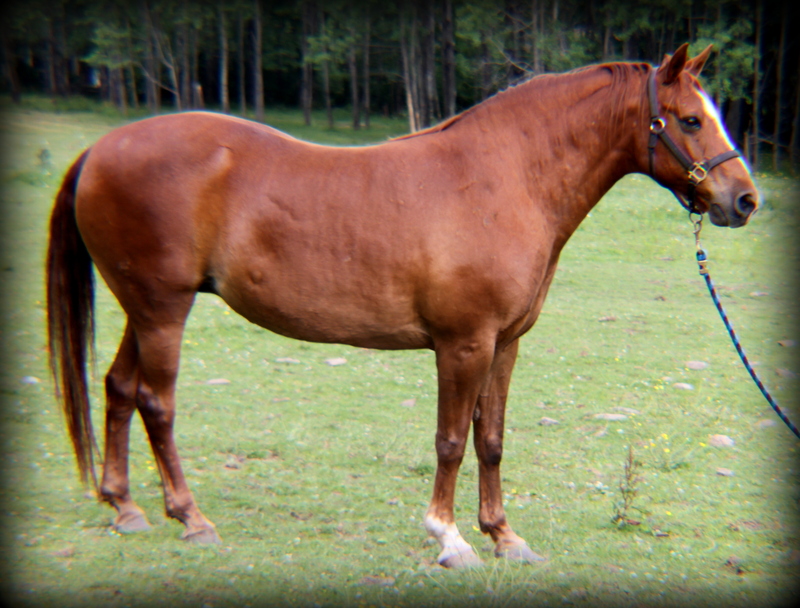 She is a daughter of Danney Joe's Golden Shadow and out of a Mack K's Yankee daughter. Her pedigree also includes Missouri Traveler E, Zane Grey and Danney Joe W (probably my favorite Foxtrotter of all time.) 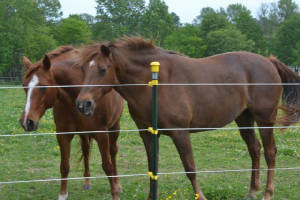 She is a sweet reserved mare but once she gets to know you she is a real darling. 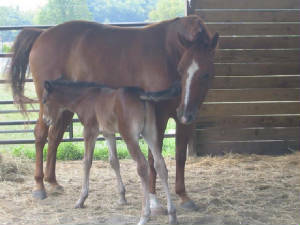 Belle is older but we hope to have at least a couple of more foals from this lovely mare. She is bred to Mr. Renegade's Go Boy for a guaranteed black/white Tobiano 2014 foal. If a filly will probably be a keeper but if a colt will be for sale at weaning. 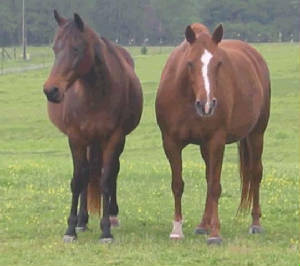 Belle with her daughter Lady, also one of our Broodmares.